CerTest EHEC VT1+VT2 one step combo card test is a coloured chromatographic immunoassay for the simultaneous qualitative detection of Verotoxins 1 and 2 (VT1 and VT2) produced by E. coli in stool samples and E. coli suspected colonies in stool culture. 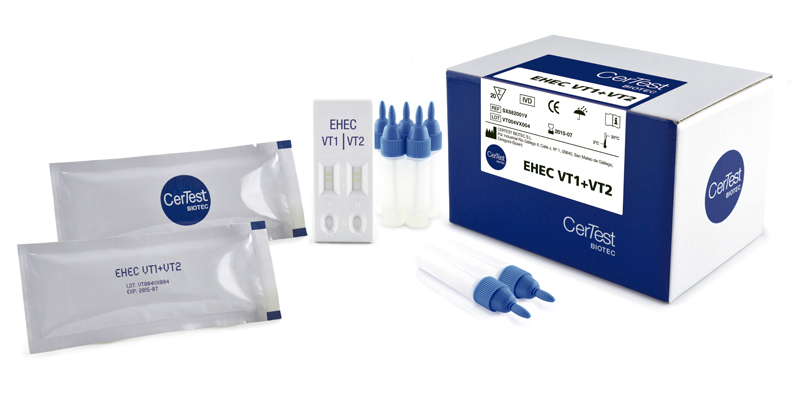 CerTest EHEC VT1+VT2 combo card test offers a simple and a highly sensitive screening assay to make a presumptive diagnosis of enterohaemorrhagic E. coli (EHEC) infection. Enterohaemorrhagic Escherichia coli (EHEC) infection presents with a wide spectrum of clinical manifestations, including asymptomatic carriage, non-bloody diarrhoea, haemorrhagic colitis (HC), the haemolytic-uremic syndrome (HUS), and thrombotic thrombocytopenic purpura (TTP). Transmission of Escherichia coli (EHEC) is primarily food-borne. Undercooked meat is the most common culprit, dairy products and secondary person-to-person spread is also important. The organism produces at least two Verotoxins (Shiga-like toxins).  Verotoxins can be classified into two main categories: Verotoxin 1 (VT1) and Verotoxin 2 (VT2). EHEC strains may produce VT1 or VT2 only or both VT1 and VT2 simultaneously. These toxins are thought to have direct pathogenic significance in Escherichia coli O157:H7 infection. This infection is usually diagnosed from a positive stool culture, from the presence of Shiga-like toxins, or both. Timely collection (within 7 days of illness onset) of a stool sample for culture is imperative for a high recovery rate. EHEC are also known as Shiga toxin-producing E. coli (STEC) or Verotoxin-producing E. coli. Many different STEC serotypes have been isolated from human cases of HC and HUS. O157:H7 is epidemiologically the most frequent serotype; however the improvement of microbiological detection methods has reported an increasing frequency of other serotypes such as O145:H2, O111:H2, O26:H11, O103:H2, and O121:H19. Regardless of serotype, VT1 and VT2 are uniformly expressed by virtually all human STEC. This universal expression of these toxins, in addition to their important role in the life-threatening complications of STEC infections, makes these antigens attractive immunoprophylactic targets.